how to: make the best beans…ever! 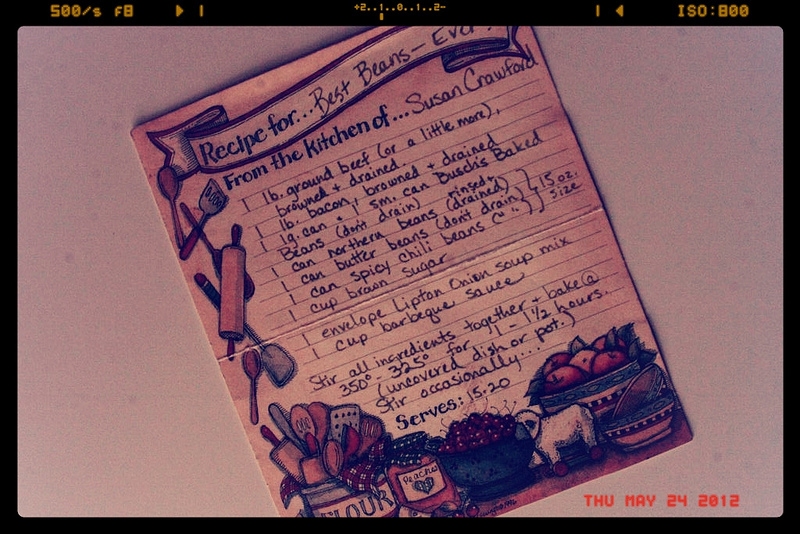 Seeing as Memorial Day weekend marks the official start of summer, I thought today would be an appropriate time to share my favorite recipe for toting along to barbecues and potlucks: Susan Crawford’s “Best Beans…Ever!” This gem of a recipe’s been in my possession for 11 years now, passed on to me by Susan Crawford, mom to one of my dear high school friends, Jane. In the decade-plus since high school graduation (!!! ), I’ve brought this dish to more barbecues than I can count, and it always nets mad compliments. Enough rambling though…here’s how to make it yourself. Stir all ingredients together and bake at 350° (or 325°) for 1-1/2 hours, stirring occasionally. Here’s what it looks like before baking. In truth, it doesn’t look that much different when it’s done. I haven’t fiddled with the recipe much, seeing as it’s pretty perfect as is, BUT, I do want to give The Pioneer Woman’s bacon-topping technique a try on them some time. Bacon on top, bacon on the inside…bacon, bacon, bacon, bacon, bacon. If you give this recipe a whirl over the course of the summer, please do tell me what you think! 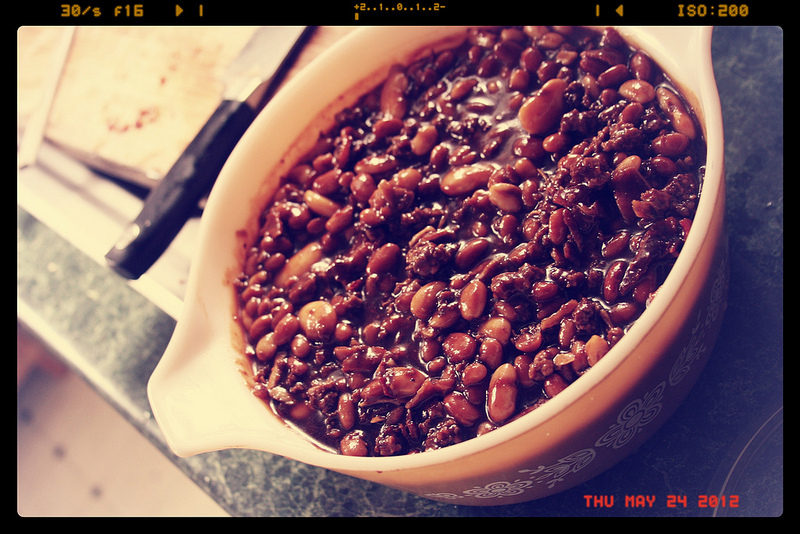 This entry was posted in How-Tos and tagged baked beans, barbecue, best baked beans ever, how to, potluck, recipe, summer recipe by highplainsthrifter. Bookmark the permalink.